Here's another sale to look forward to this weekend and I'm getting giddy already! 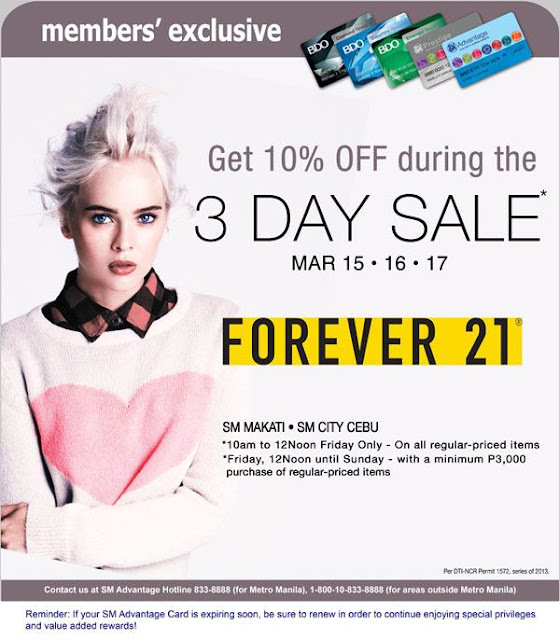 Get 10% OFF during Forever 21- 3 Day Sale – March 15 to 17 at Forever 21 SM Makati and SM City Cebu! Don't forget to bring your SM Advantage Card to avail of this extra discount!